Herd immunity is an erroneous theory based upon the idea that 95% of the population must be vaccinated for a particular illness in order to prevent occurrence of epidemics. (Note: this figure seems to change depending on the mood of the scientist asked). Today, unvaccinated children are seen as blamed for putting the population at large at risk or worse, for outbreaks themselves, but is this a mistake? 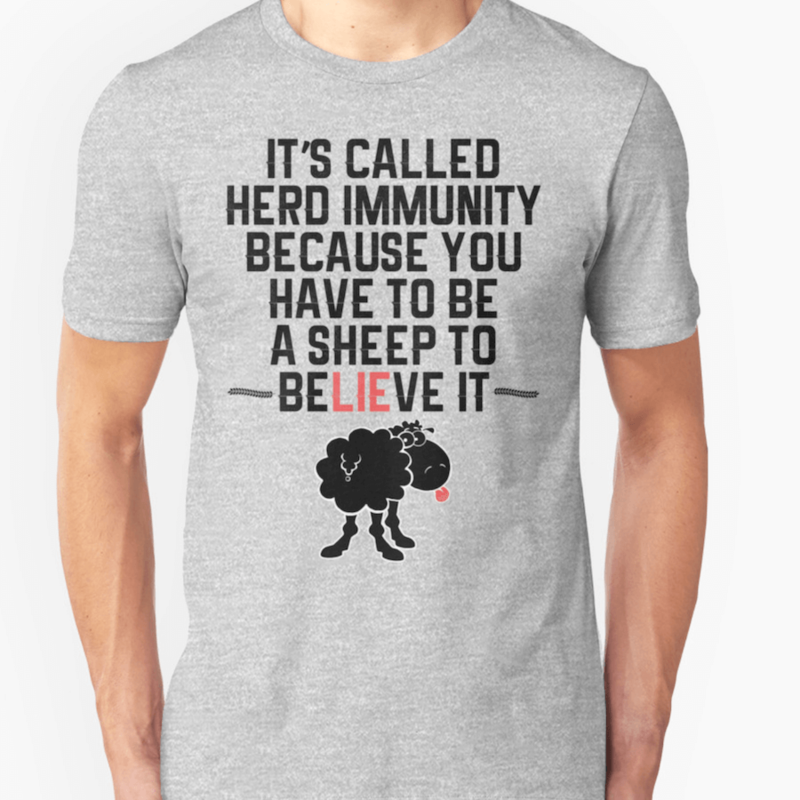 It’s called herd immunity because you have to be a sheep to believe it. Today, unvaccinated children are seen as blamed for putting the population at large at risk or worse, for outbreaks themselves. The original definition of herd immunity applied to the protective effect that occurred when a population contracted and recovered naturally from infections. Natural immunity lasts a lifetime whereas vaccine induced immunity does not. To the dismay of vaccination authorities, outbreaks still occur in groups of children who have been fully vaccinated and receiving booster shots. Hence, the convenient blame game and finger pointing that is now occurring with unvaccinated children said to be the “cause” of such outbreaks. Various sizes, styles, and colours available.